Reported economic losses from earthquakes and volcanic eruptions, as well as climate-related disasters such as floods and hurricanes have totalled nearly $2.9 trillion US over the past two decades, the UN office for disaster risk reduction says. Of that total, 77 per cent, or $2.2 trillion, were losses due to climate-related disasters, according to UNISDR, as the office is known. That was up from $895 billion reported between 1978 and 1997. The rest of the total came primarily from tsunamis and earthquakes — so-called geophysical disasters. 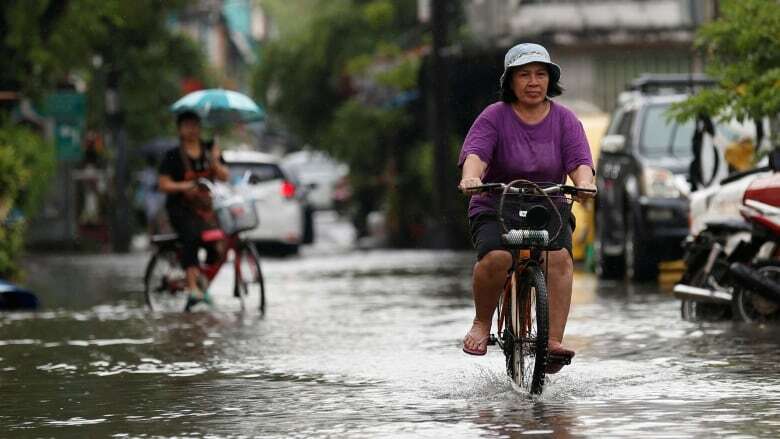 Assets are increasingly found in disaster-prone areas, contributing to a 151 per cent increase in climate-related disaster losses from the previous 20-year period, UNISDR said in its newly released report. The U.S. topped the list at over $944 billion, nearly twice the figure from second-place China. Japan, India and Puerto Rico, respectively, completed the top five. The report came as it appeared the southeastern United States was facing another possible disaster, as Hurricane Michael barrelled toward the region from the Gulf of Mexico. UNISDR’s tally is based on confirmed documentation, meaning the $2.9 trillion is likely only a fraction of actual losses. “The report’s analysis makes it clear that economic losses from extreme weather events are unsustainable and a major brake on eradicating poverty in hazard exposed parts of the world,” Mami Mizutori, the UN secretary general’s special representative for disaster reduction, said in a statement.